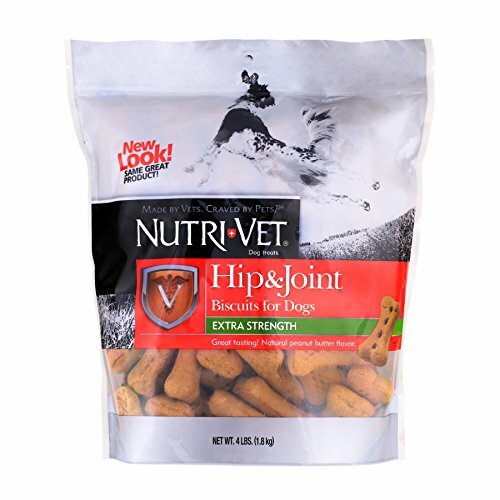 Hip and Joint Level 1 Peanut Butter Wafers provide standardized levels of glucosamine in a crunchy wafer to help maintain healthy canine joint function and connective tissue. Each wafer contains 500 mg of glucosamine. For larger active dogs and young dogs. 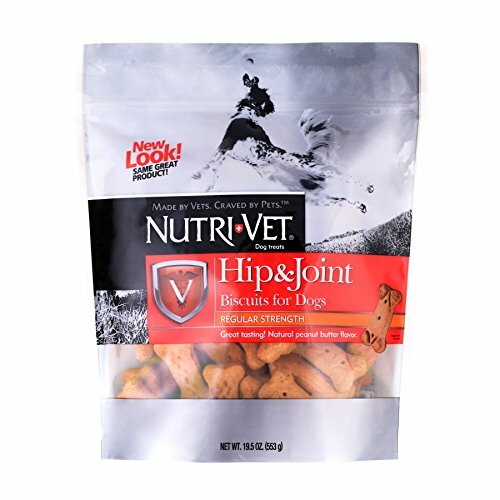 Nutri-Vet Hip & Joint Wafers provide natural ingredients that support joint function and connective tissue to help your dog stay active and enjoy life. 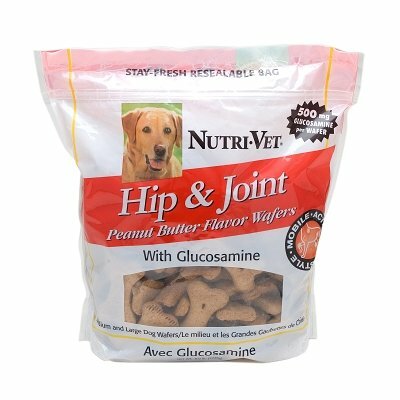 Hip & Joint Wafers make it easy for you to provide standardized and accurate amounts of glucosamine. Nutri-Vet Wafers have 166mg glucosamine each and are hard and crunchy to help promote strong teeth and healthy gums and are made with high quality ingredients in a tasty form that you dog will love. 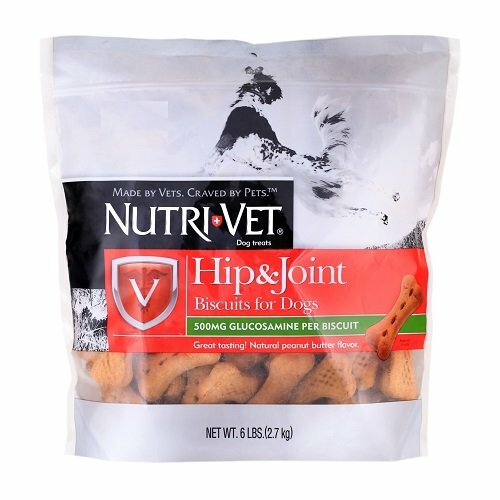 NUTRI-VET - GLUCOSAMINE BISCUIT (LARGE 6 LB) "Ctg: DOG PRODUCTS - DOG TREATS - BISCUITS & COOKIE"
Hip & Joint Peanut Butter Flavor Dog Biscuits formula is specially developed to provide natural nutrients that support optimal functioning of joints and connective tissue to help dogs stay active members of the family and enjoy life to the fullest.